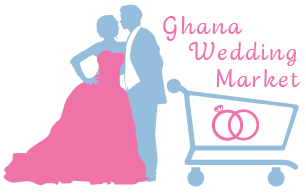 Ghana Wedding Market is committed to providing consumers with greater access to relevant products and services in their searches. We strive to guide our consumers to the information they seek, to find businesses easily, quickly and cheaply. The ability to find vendors online, compare their rates, make bookings or purchases and deliver online orders, place the consumer for the first time ever at a very good advantage. The consumer can truly now understand what the current market rates are for any service area or product. It is our hope that creating awareness of industry rates and price comparison tools will create better competition among service providers and ultimately lead to savings for our users and increased business traffic for our vendors. Win-Win! GWM has developed an online payment system that allows the user to pay for products and services online using Mobile Money, Paypal, and Visa/MasterCard with the latest security encryptions. For a nominal fee, GWM will deliver all qualifying purchases to all major cities in Ghana. As a result of the consumer’s better access to the market, related retail businesses and service providers benefit immensely from prime, targeted exposure to millions of potential customers looking to purchase products and services. GWM online marketplace provides the vendor an online market tool to market and sell your products and services with ease and no hassle. You can expect to receive payments by paypal, visa/mastercard and mobile money. GWM will pickup your products and deliver to any major city in Ghana. Our aim is to keep you focused on your business while we handle everything else. GWM provides both consumers and vendors a total online business solution encompassing online search optimization, price comparison, online marketplace, mobile money payment platforms and delivery. Whether you’re looking for a great local business or looking to increase your customer traffic, we have the tools to deliver. Find more about our packages and services, check out our membership page.